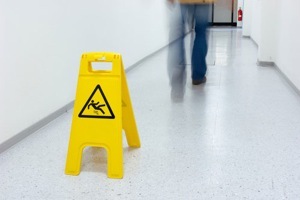 Slip and fall injuries are the root causes of some of the most common type of injury cases. Icy pavement, uneven sidewalks, wet surfaces, deteriorating concrete, poor lighting, slippery stairs and water damage are contributors to slip and fall cases. The failure of a property owner to maintain their premises, clear their ice, or keep their grounds in a proper state of repair may give rise to a claim for damages. In the event that you or a loved one has been involved in a slip and fall accident, it’s important to contact a personal injury lawyer right away as there are critical dead lines in many slip and fall cases which need to be met. When suing a local municipality for a slip and fall matter, there is a ten day limitation period to provide the municipality with written notice as to the location of the accident, the nature of the injury and how the accident happened. Failure to serve notice within the ten day limitation period may result in your case being thrown out of Court without you being able to recover any damages for your pain and suffering, lost income or out of pocket expenses. Goldfinger Law does not want to see this happen to you. Goldfinger Law has been leading the way in the field of slip and fall cases in Ontario. Our personal injury lawyers have helped countless accident victims recover millions and millions of dollars in damage awards both inside and outside of the Courtroom. We have recovered multi million dollar settlements against cities, municipalities, townships and private property owners alike. No case is too big, no case is too small for Goldfinger Law. In every slip or trip and fall case, it’s very important to establish a strong case on liability. Liability refers to how the accident happened and establishing who’s to blame for the accident. Establishing liability in slip and fall cases can be done through collecting evidence such as photographs of where the accident happened, winter maintenance records, witness statements, engineering reports, repair log notes and any other information or documentation which will assist in establishing liability for your slip and fall case. Goldfinger Law has all the tools necessary to gather sufficient data to establish liability in your case so that you can achieve an optimal result in your case. Paralegals, students, lawyers and the media have been approached Brian Goldfinger for his advice on how to best advance a slip and fall case. Slip and fall or trip and fall injuries can result in serious damages such as traumatic brain injury, concussions, fractured ankles, broken bones, bulging discs or soft tissue injury. Immediate medical attention should be sought after a serious injury resulting from a slip and fall accident. If you or a loved one has been involved in a slip and fall accident, don’t hesitate to contact Goldfinger Law today for your free consultation. We service all parts of Ontario, with offices in Toronto, London and Peterborough. We know how to get the most for your slip and fall case. "Thanks so much Brian for all the hard work you did on my case. The result you got for me and my family was amazing! You and your staff were professional each and every step of the way. I would highly recommend you to anyone who needs a tough, hard-nosed lawyer. Keep up the good work!" "Words cannot describe how much your advice and direction has meant to me. You took on my case when nobody else would even listen. You gave me the peace of mind so that I could lead a normal life again. I don't know what I would have done without you. Thank you, thank you, thank you, thank you!"